Hot on the heels of the impromptu kitchen theme last week- I find this glorious little terrarium in a teapot at Tea with Friends. 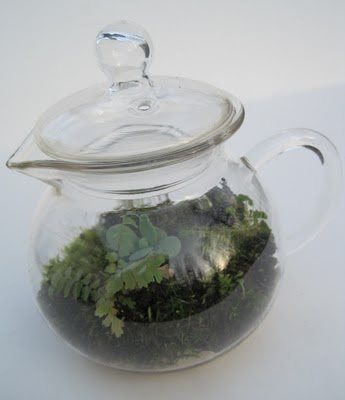 I have seen these clear teapots for those fancy "blooming" tea bundles but never thought of the terrarium idea! Bravo!